Plain White Folding Gift Cards 3"x1-3/4"
Our Folded Gift Cards will help you personalize your gift packaging & gift baskets. They are blank inside for your personal message. Some have adhesive backs. 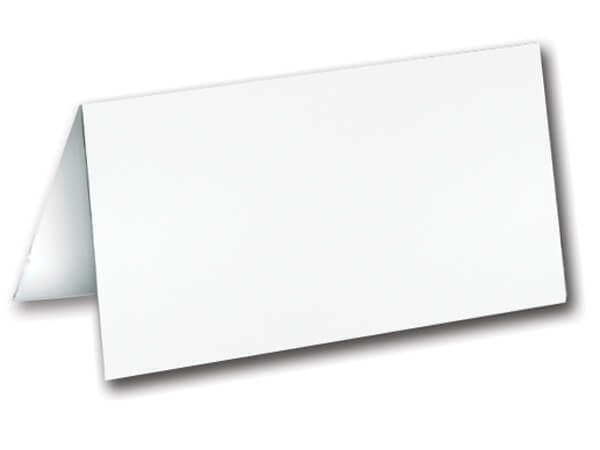 Plain white low luster gloss enclosure cards without envelopes are also available. Made in the USA.